The Upstate University Hospital Apheresis Collections are composed of specially trained physicians and registered nurses who provide complete apheresis services for adult and pediatric inpatient and outpatient populations. 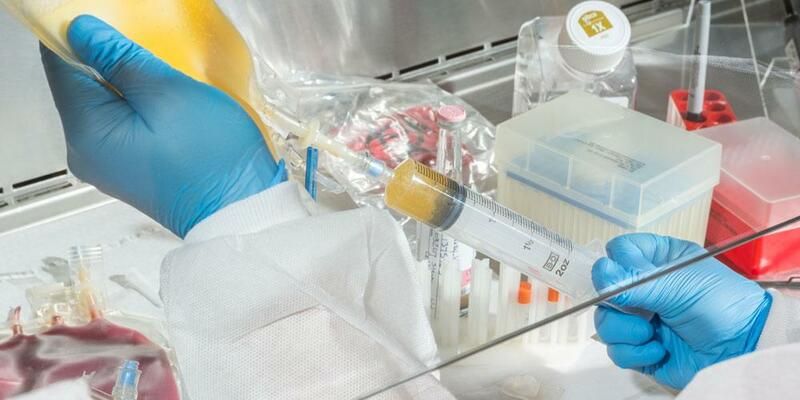 The team performs peripheral blood hematopoietic stem cell collection procedures and therapeutic apheresis for clinical conditions categorized by the American Society for Apheresis as well as transfusion and infusion services. We work collaboratively with the Upstate Cancer Center and the Adult and Pediatric Bone Marrow Transplant Units (BMTU) and act as an Apheresis Collection center for the National Marrow Donor Program (NMDP).